Two Peasant Tops… and a Partridge in a Pear Tree?? My title has absolutely nothing to do with Christmas… just saying. When I typed Two Peasant Tops, that’s what followed in my head. I know, I know, I’ve got problems. But that’s not why you’re here… is it? Hopefully you’re here to see what I’ve been sewing! I got a chance today during little girl’s long afternoon nap to snap some photos of some finished projects (five to be exact, look for the rest coming soon) and I’m excited to post them for you! A couple of weeks ago, while binge watching Miss Fisher on Netflix, I whipped up two peasant tops. 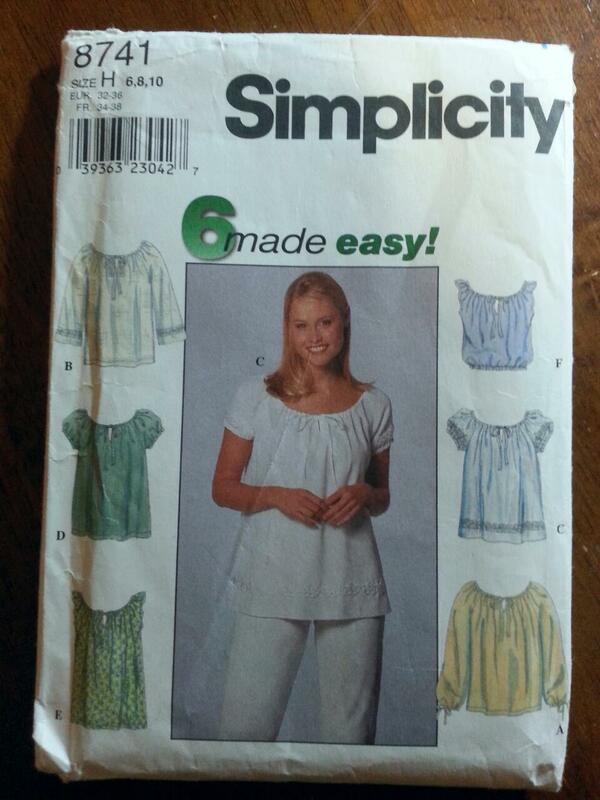 I used #Simplicity8741 and slightly modified the lengths due to being just a bit short on fabric. Oops. I made a black one, and a white one. Nothing fancy at all. Just a couple more basic separates to add to my closet. Enough of my rambling, on to the good stuff! 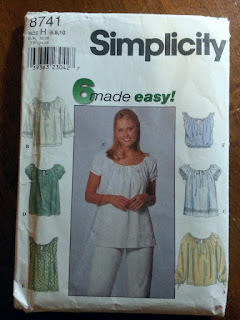 Just a really simple bright white cotton peasant top. I’m wearing it here with my Unique Vintage Catch of The Day bottoms, a great pair of high-waist sailor style shorts. Perfect for summer, and totally worth the $15! This top is slightly different than the white one, it has elastic along the bottom. I had to cut this length much shorter on this one, as I was really short on fabric. So this one is more of a crop top, but I have worn it tucked in to a circle skirt, with a belt, so it’s pretty versatile. I’m still trying to get comfortable wearing it as a crop top, but with the high-waist shorts it’s really quite flattering even with my mommy tummy. These high-waist shorts hide so much! See more pictures of these two and get the construction details here on my blog, misskacysews! Thank you so much! We often discount a simple separate when really it’s such an integral part of our wardrobes!